Well I have to admit I hadn't heard of New Soda until just recently when I was kindly sent a few of their products to try. 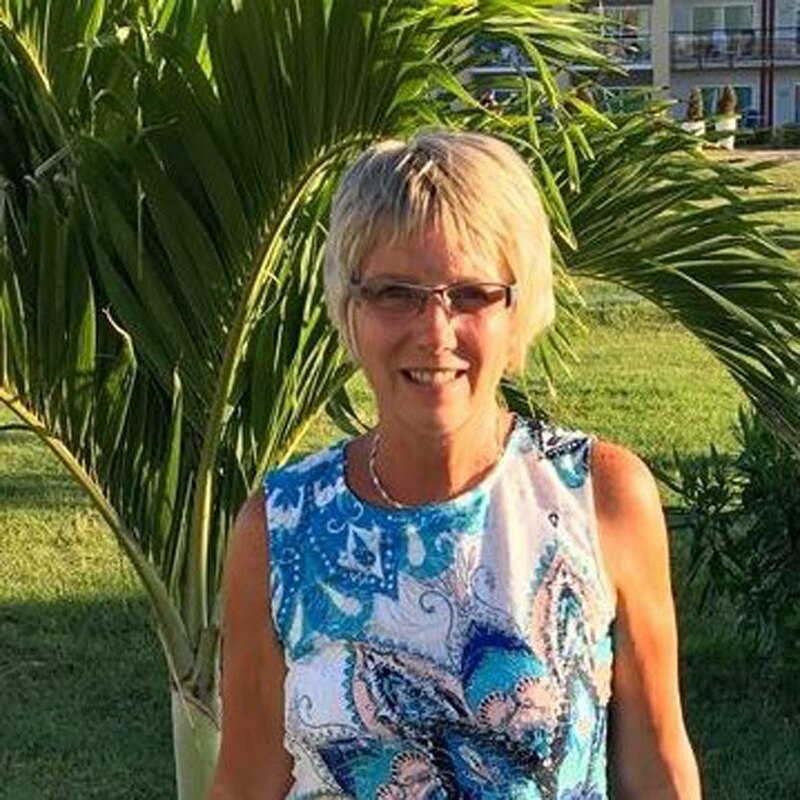 I'm pleased to say I really think they're excellent products and do exactly what they say they will and are great quality and reasonably priced too. 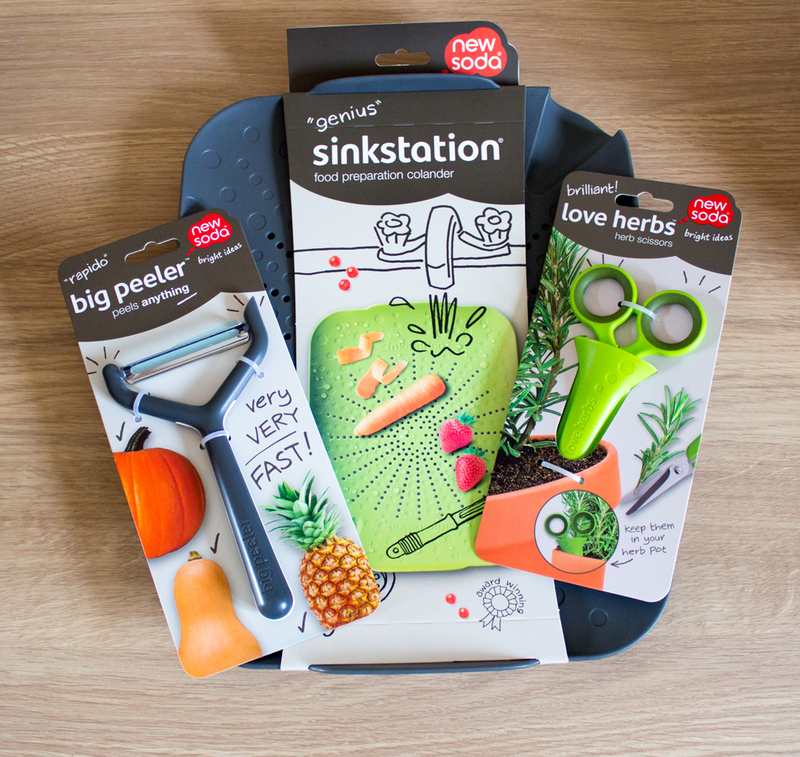 The Sinkstation is a great little invention; a flat colander that enables you to prepare your veg and as it fits neatly into the bottom of your sink. 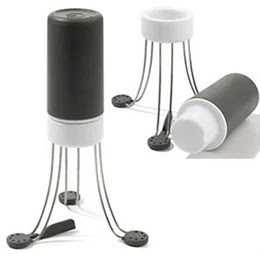 It then catches peeling ready for you to dispose of then you can rinse your veggies under the tap and tilt it slightly to drain away any excess water. Not only that but it's brilliant for defrosting items on the draining board rather than having a pool of water on the counter top or on a plate. The Sinkstation is by no means flimsy but well made and sturdy. 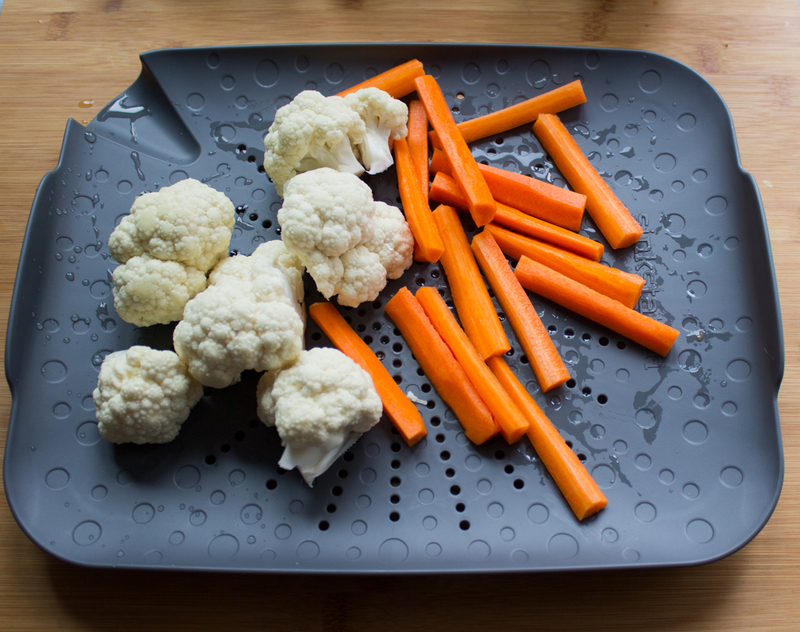 I love that it's a flat colander since I have very little space in my kitchen to store things. 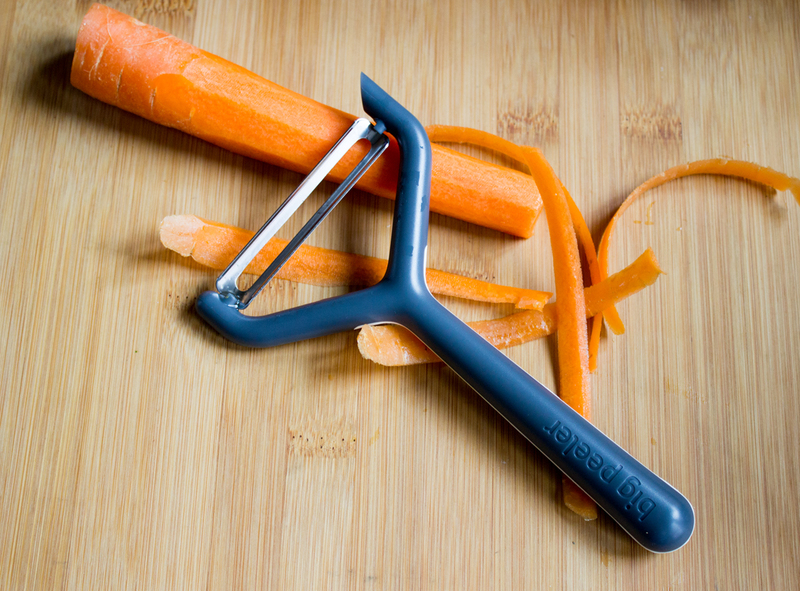 The Big Peeler is certainly big making light work of larger veggies or fruit such as swede and pineapple. Okay it's a little bit large for carrots but does a great job and it glided though swede with no trouble whatsoever; yep a really nice peeler. 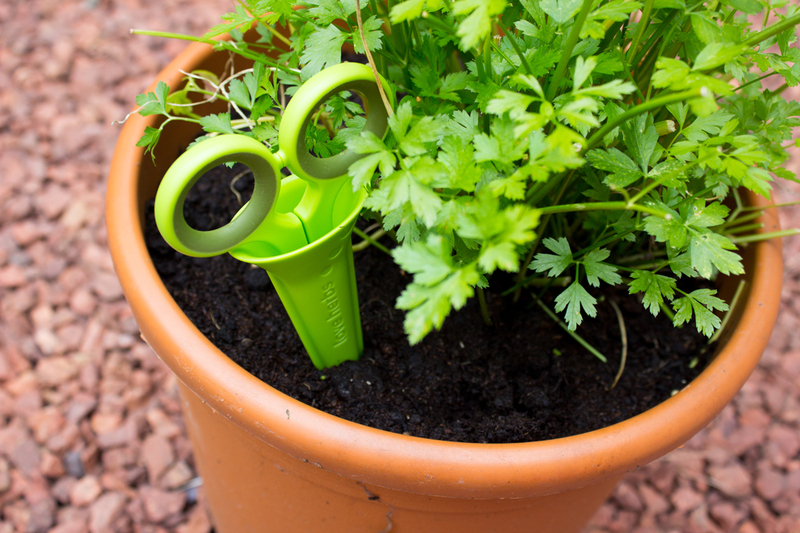 These 'Love Herbs' scissors are brilliant - keep them in the pot with your herbs and they're always at hand ready to snip. They are sharp and also have a handy little leaf stripper which I should have taken a photo of. They are well made and did a great job of snipping tough woody stems of rosemary. All the products are available in a few different colours too. Check out New Soda for more information and other products. Disclosure: I was sent these products to try. All thoughts and opinions are my own. I was not required to writ anything positive. Super useful, will keep look out for them!